Travel and Documentary Photos from Sri Lanka. 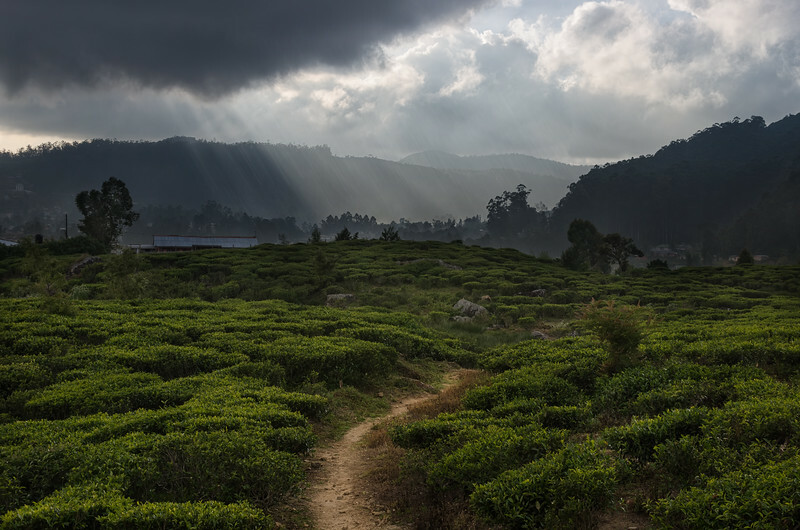 Magnificent sun rays pour through the clouds over the tea fields of Nuwara Eliya, Sri Lanka. 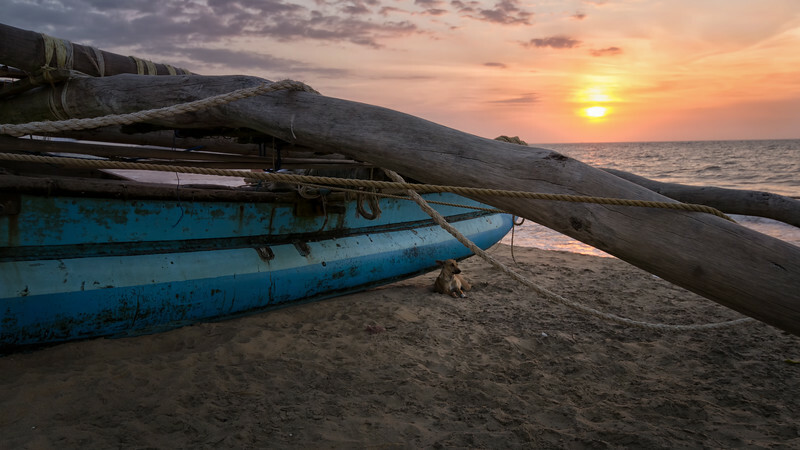 A friend rests by a boat on the beach in Negombo, Sri Lanka. 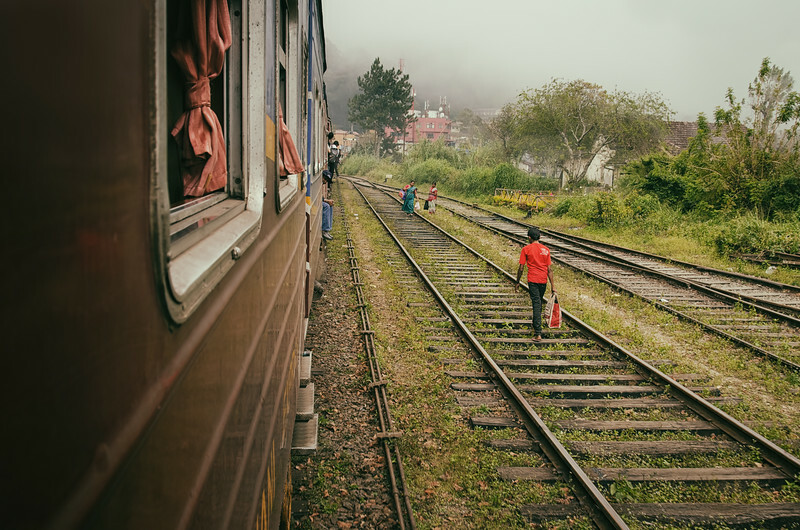 On the lovely train between Nuwara Eliya and Ella, Sri Lanka. 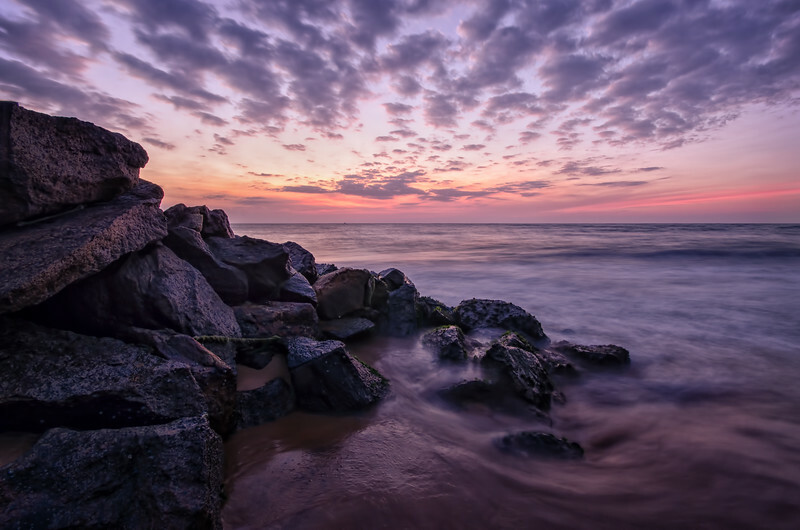 The sunset on the coast of Negombo. Sometimes the easiest way to go is to just walk the tracks. 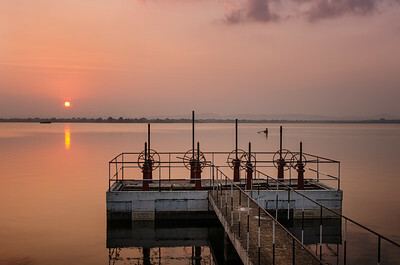 An artificial lake in Anuradhapura. The coast by the beach resort of Unawatuna, Sri Lanka. 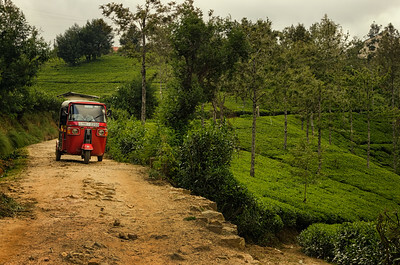 A tuk tuk driving through the tea fields near Nuwara Eliya, Sri Lanka. 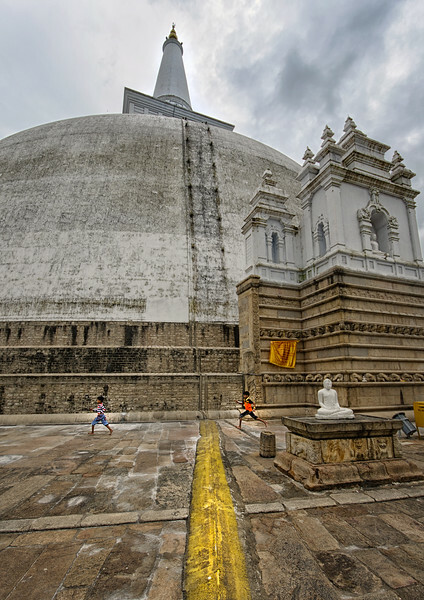 A few kids playing around the giant dagoba in Anuradhapura. This was the Ruwanweliseya Dagobaa stupa in Sri Lanka, considered a marvel for its architectural qualities and sacred to many Buddhists all over the world. 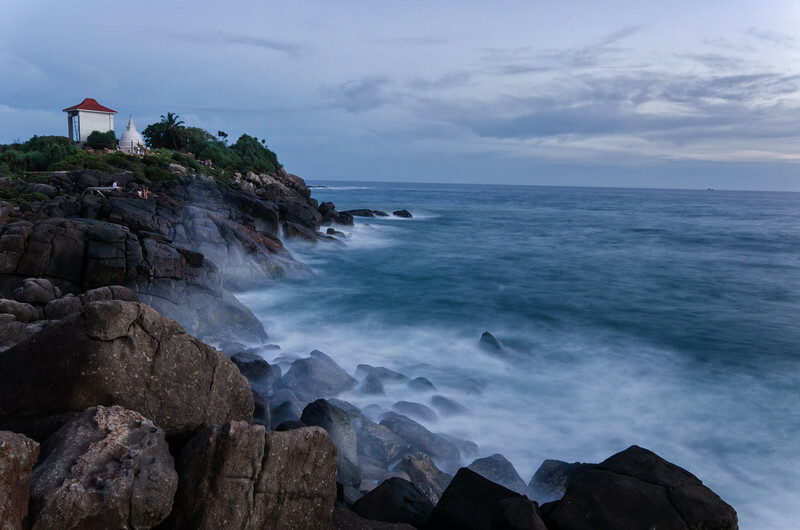 It was built by King Dutugemunu c. 140 B.C., who became lord of all Sri Lanka after a war in which the Chola King Elara, was defeated. It is also known as Mahathupa, Swarnamali Chaitya, Suvarnamali Mahaceti (in Pali) and Rathnamali Dagaba. The wall of a part of a giant dagoba (Buddhist stupa or shrine). 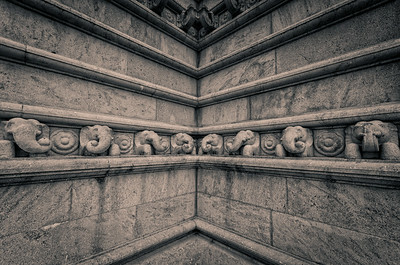 Great architecture there! 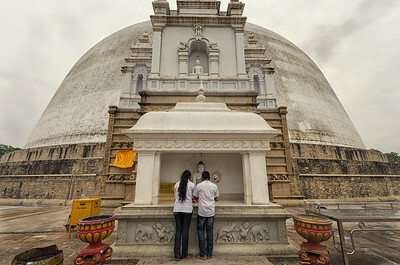 Sri Lankan's praying at a stupa (Buddhist shrine) in Anuradhapura. 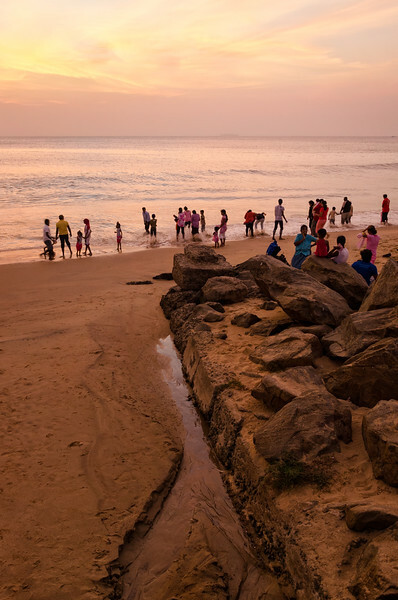 Families come to relax on the Galle Face Green, a beach in downtown Colombo, Sri Lanka. 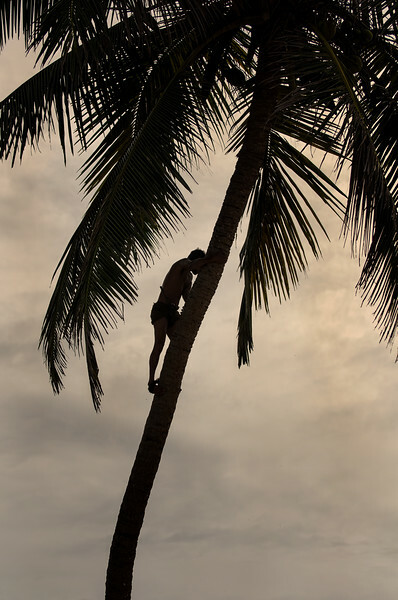 Perilously climbing a 40ft+ palm tree all for a few juicy coconut's with only the help of some rope wrapped around his feet for support. 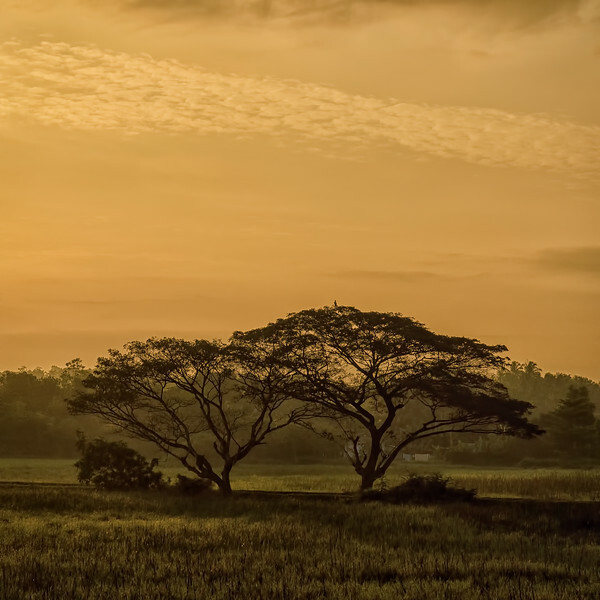 Took these beautiful trees from my train from Anuradhapura to Colombo. 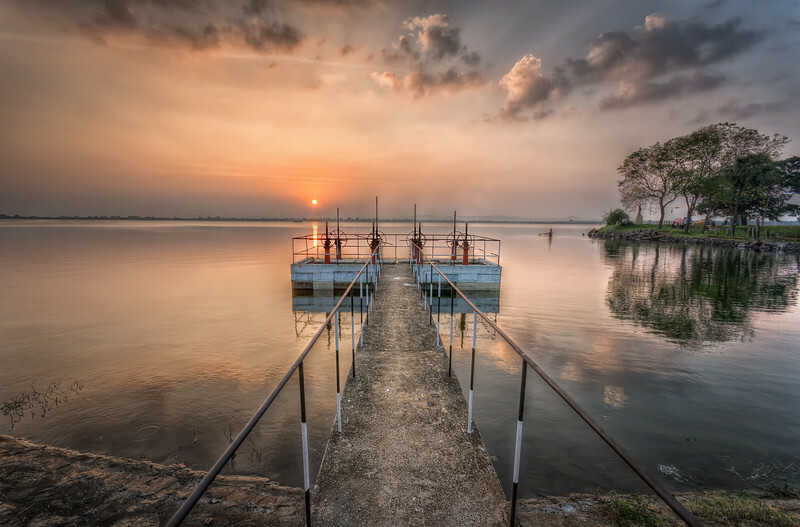 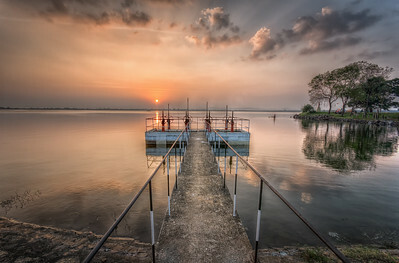 Taken at the banks of the local tank (human made lake) in the ancient city of Anuradhapura in the middle of Sri Lanka. 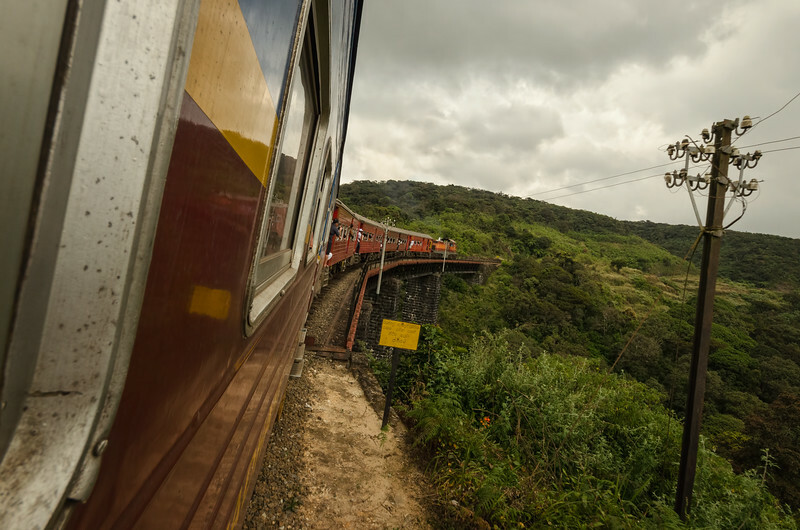 One of my favourite parts of taking a Sri Lankan train is that they leave the entrance and exit doors unlocked and open. Sri Lankans and tourists alike, especially in very scenic areas like the hill country, hold on while hanging out the door admiring the view and the wind in their face.